Provide comfort for the family of Allene Agnes (Rhea) Autaubo with a meaningful gesture of sympathy. Viewing will be 8am-5pm Thursday at the funeral home. A wake service will be held 7pm Thursday at Glorieta Baptist Church. The funeral service will be 11am Friday at Glorieta Baptist Church with burial to follow at Resthaven Memory Gardens. In an old three room schoolhouse, after her mother passed away, Allene devoted her life and light to the faith of Jesus Christ and was born again at the age of ten. She would soon be baptized in a local pond. Allene was a Muscogee Creek Nation citizen. 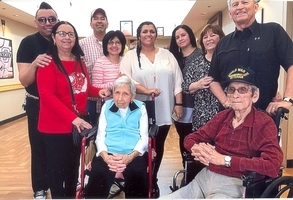 Allene graduated from Chilocco Indian Boarding School where she met her husband, World War II Veteran, Adam Autaubo. The two would wed in the late spring of May 1948 and relocate to Oklahoma City where Allene accepted a Lay-Out Operator position with AT&T at which she gave support for 29 and a half years. Allene was fond of family meals that she prepared and summer vacations with her grandchildren. Her favorite activities included day trips to Oklahoma State football games with only her and Adam, creating elaborate cakes and decorating them, quilling and sewing. As she cherished and adored her family, Allene also loved her church families. 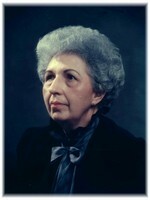 Allene served and attended South Central Baptist Church in Oklahoma City from 1950 to 1965. For 50 years, from 1965 to 2015, she was a member of Central Baptist Church in Oklahoma City. At Central she served as, Sunday School teacher to pre-kindergarten to 5 years of age children, choir member, hospitality leader, WMU member, Vacation Bible School teacher, Indian Falls Creek cook, nursery leader and GA leader. Her final church membership was at Glorieta Baptist Church in Oklahoma City. Allene was not always the fondest of furry little pets but she did accept: the chihuahua named King; the darling tea cup, Chupita; and the loyalty and alertness of Fermat. Allene was preceded in death by her father, Grover Cleveland Rhea; and her mother, Hattie Simmer; her husband, Adam Autaubo; her daughter, Gloria Dean Autaubo-Atkins; son in-law, Tillier Wesley, Jr.; her sister, Flora Jean Miller; her brothers, Pompey Rhea and Arthur Rhea; and great-grandson, Tah-Lee Rhea Autaubo. Allene is survived by, her sister, Nova Dean Smith; her son, Kenneth Rhea Autaubo; her daughter, Pamela Kay Autaubo-Wesley; six grandchildren, Shanun Gibson, Toyce Holmes, Arianne Autaubo, Colby Atkins, Micah Wesley, Lyndsey Autaubo; three great-grandchildren, Arianna, Angelina, and Alycia Atkins. 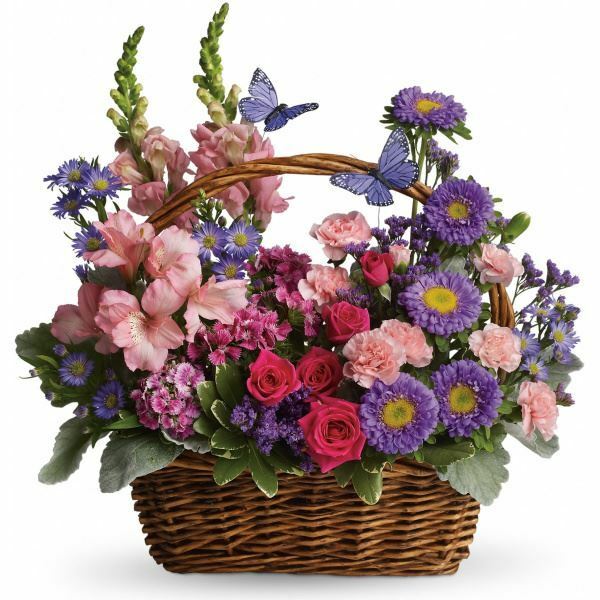 To send flowers in memory of Allene Agnes (Rhea) Autaubo, please visit our Heartfelt Sympathies Store. We encourage you to share your most beloved memories of Allene Agnes (Rhea) Autaubo here, so that the family and other loved ones can always see it. You can upload cherished photographs, or share your favorite stories, and can even comment on those shared by others. 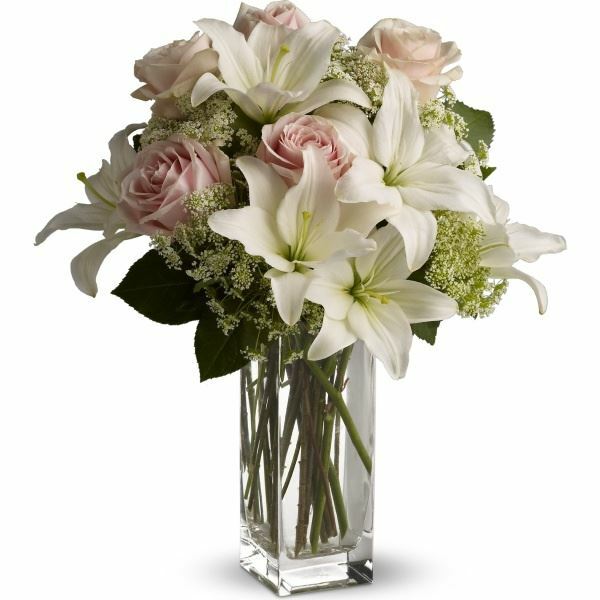 Lahoma (Hicks) Schultz, Lyndsey's Ladygang Family, and others have sent flowers to the family of Allene Agnes (Rhea) Autaubo. Much love, thoughts and prayers. I remember Allene as a beautiful woman, both inside and out. I have many good memories of her. Lahoma (Hicks) Schultz purchased flowers for the family of Allene Agnes (Rhea) Autaubo. On behalf of the Telecom Thunderbird Pioneers, we express our deepest sympathy upon hearing of the loss of Allene. Our thoughts and prayers are with the family at this difficult time. Dear Autaubo Family, Please accept our most heartfelt sympathies for your loss. Our thoughts are with you and your family during this difficult time. Lyndsey's Ladygang Family purchased flowers for the family of Allene Agnes (Rhea) Autaubo. We will miss your precious sweet mom, Allene. To know her was to love her. Thoughts & prayers for your lovely family. God bless. Hattie L Tiger & FamilyW purchased the Sweet Tranquility Basket for the family of Allene Agnes (Rhea) Autaubo. I am so sorry for the family’s loss loss. Death is one of the hardest trials to cope with. May you find comfort from the future promise recorded in Isaiah 25:8 which says “he [God] will swallow up death forever.” We can be certain God will fulfill the words from his word the Bible.